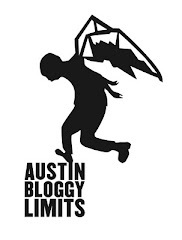 AustinBloggyLimits - An Austin Music Blog: Ume Oprah, Oprah Ume, Emo's. Ume Oprah, Oprah Ume, Emo's. I haven't seen Bloggy favorites, Ume since SXSW and they were already playing loads of new songs then. I expect their headlining show at Emo's tomorrow night will have lots of songs that none of us have heard yet and that alone is reason enough for me to be there. If you wait to pay at the door it'll cost you $10 but you can pickup tickets at your usual neighborhood outlets, End of an Ear or Waterloo Records for a mere $8. Doors will open at 9p tomorrow night, which generally means the first act starts around 10p, you can expect Ume to hit Emo's inside stage around Midnight. At the time I captured this performance, there was no title for this song so I took the liberty of naming it for this site, 'cause I'm classy like that. O'Brother will be playing the set before Ume. The band hails from Atlanta, and describes their sound as both ambient and indie. I don't know about you but I'm intrigued by that juxtaposition. Ambient jangliness? I suppose any band is indie if they do it themselves. Huzzah indie! Huzzah ambient! Huzzam Ambien? Kicking things off around 9:30p or 10p tomorrow you can catch Austin's own the Sour Notes. Their latest LP Received in Bitterness was voted by the readers of Austin 360 as the best local LP of '09. So, they have that going for them, which is sweet.